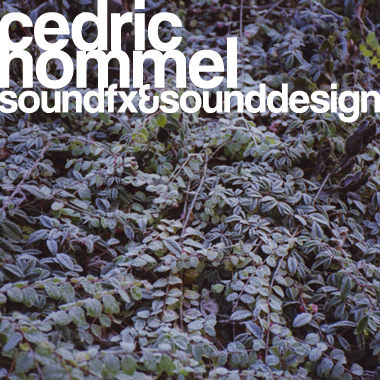 Cedric Hommel is a German sound designer, sound engineer, and foley artist who has worked on countless computer games, movies, animations, multimedia projects, and game trailers. His library consists of various naturally recorded and edited field recordings, as well as synthetically created sounds transformed through extensive effect chains and sound layering. Cedric's credits include the upcoming feature computer game "Das Schwarze Auge - Demonicon," various game trailers on Steam and German TV, and commercials for Audi, AMC, and Bayer.